Oh, how we adore a gorgeous, statement clutch! And with party season just around the corner, our clutch bag addiction has ramped up to full speed. Enter our new collection - Clutch Control - an eclectic mix of covetable clutch bags from the kooky skull design to the über glam gold glitter box, and everything in between! Will we ever tire of snakeskin? Doubtful, after seeing this stunner. 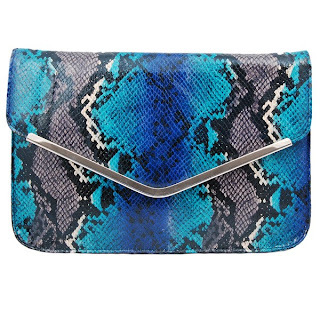 The Lola Clutch Bag, £22, is bold in bright blue and grey (also available in black and aubergine), and in the season's sought after shape - the envelope - we can see it being a best seller! 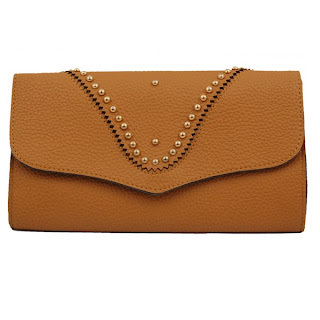 The Hope Tan Clutch Bag, £22, is a definite staple for A/W (also available in red or black). Nailing this season's stud trend, we're thinking it's the perfect accompaniment for the edgy, rock look. You gotta love a bit of glitter for party season, right? 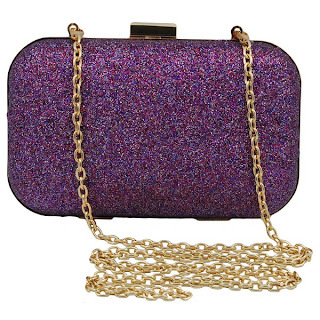 The Darcy Purple Glitter Clutch Bag, £25 (also available in black or gold) is a total babe. Box clutches ooze glamour and the purple glitter is the absolute cherry on top. NEED! *Super amazing skull clutch alert*. Oh yeah, our love of skulls knows no bounds. A skull clutch is SO hot right now and The Bella, £19, tops our chart of lust. The envelope style, *swoon*, the stud detailing, *mega swoon*, the skull pattern *faints to the floor*. We're in LOVE! Your skull clutch is to die for!